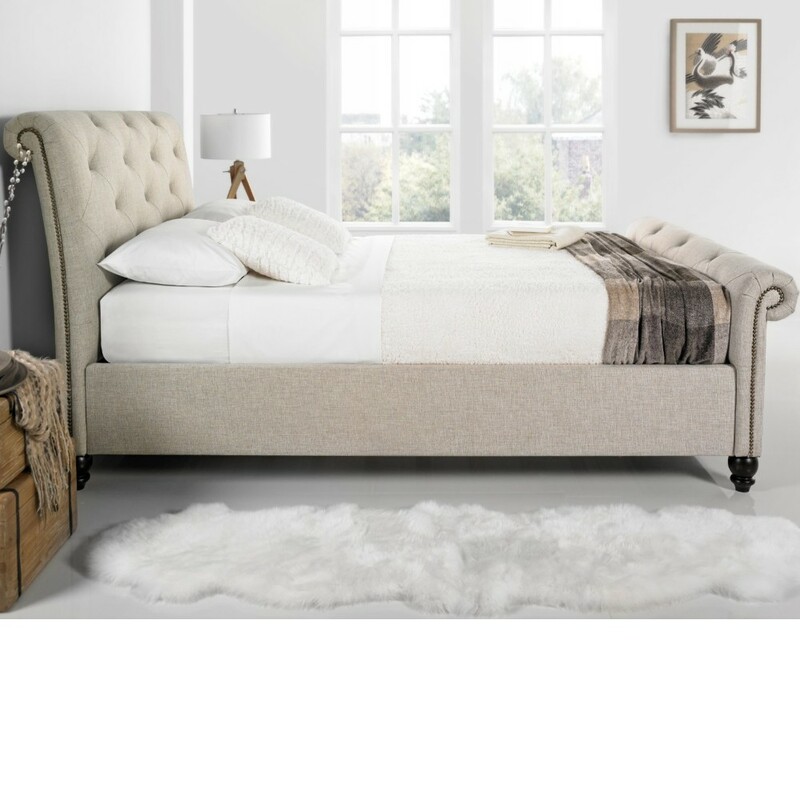 The Belford is a very elegant traditional style fabric bed with very scroll head and foot ends. The solid hardwood mix frame is covered with oatmeal fabric. The bed is finished with turned solid dark hardwood feet. All the materials used on the Belford bed are of premium quality. The 'Chesterfield' style deep buttoned head board and foot boards are finished with antique brass studs to create the scroll design. This bed a great design suitable for any bedroom. The Belford bed frame has a wooden sprung slatted base that will give additional support and comfort, the natural bounce in the slats means that they will adjust to where the most presure is exerted. The assembly of the Belford bed is easy when you follow the concise and coherent instructions provided.